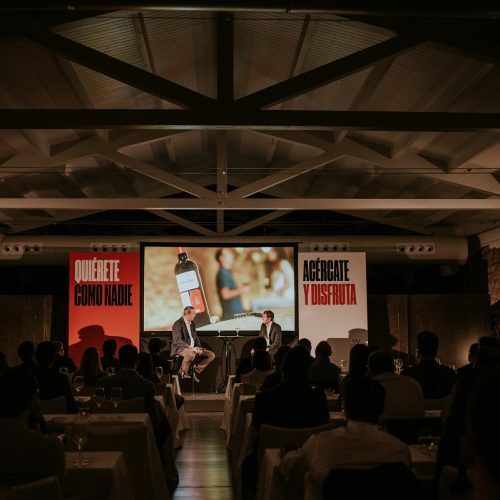 The history, architecture and exceptional location of Bodegas Franco Españolas (5 minutes walking from the Logroño centre) mean we can offer a wide variety of customisable ways for you to hold your event. 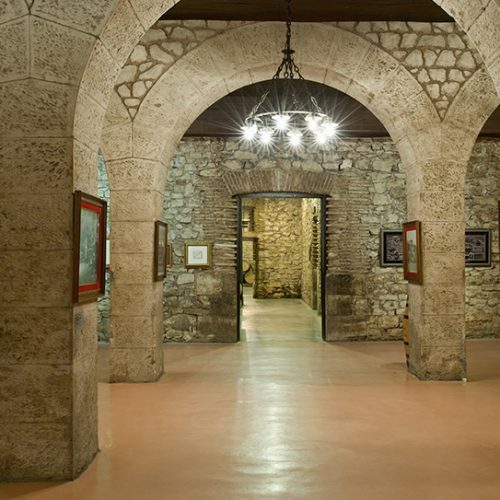 The rooms and halls in the winery can be rearranged to hold ceremonies, conferences, concerts, exhibitions, cocktails, banquets or, in fact, any type of event. A different and original offering in all aspects: from the areas where they can be held to the leisure and entertainment options that guests can enjoy. Please come and see our facilities. The doors to this unique place we call our home are open to you. The old bottle labelling and grape reception area when the winery began. This open room is today the largest and most multifunctional area we have. 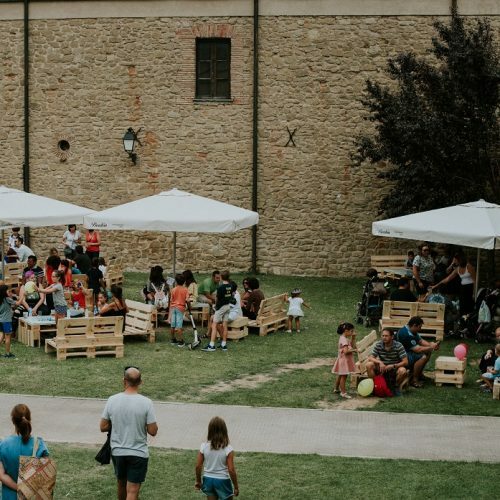 It has a surface area of 600m2, and is ideal for banquets of up to 260 diners, conferences, fairs, exhibitions or for any kind of assembly (whether a banquet, school or a theatre). In addition, the screens and panels can be used to create different or more welcoming environments for events with lesser numbers of guests. Theatre meetings, fairs or exhibitions. Located inside the winery, this vaulted room is perfect for small work meetings or family meals. Its maximum banqueting capacity is for 36 diners at a single long table or 40 people spread among smaller rectangular tables. It is the ideal room for groups seeking exclusivity and privacy. 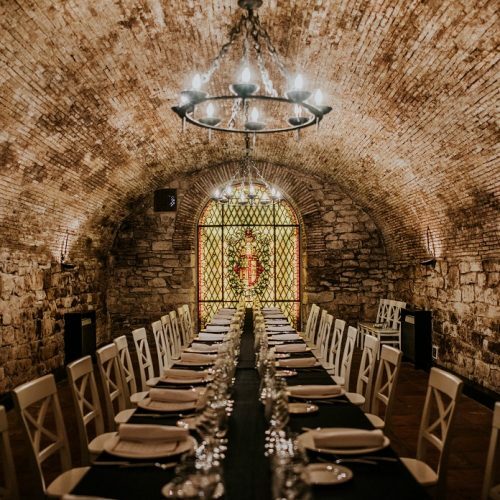 This room, with its curious architecture, located in the heart of the winery, just a step away from our Old Bottle Store, is our exhibition hall, also used for cocktail parties and other social events. 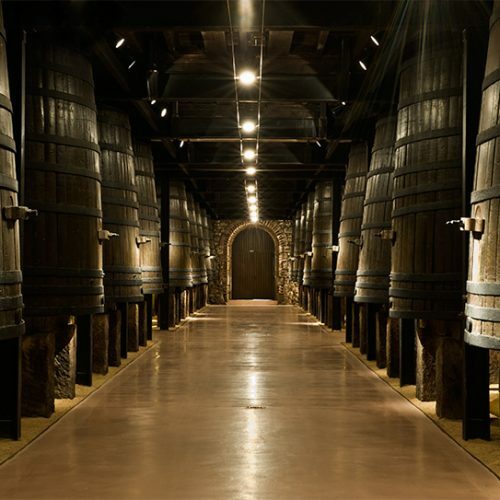 Dating from 1890, the year the winery was founded, the Los Tinos room is one of the most striking areas, due to its 20 French oak wooden vats located on either side of the room. It has a useful surface area of virtually 200m2 and, with direct access to our backyards, it is an ideal place for high-impact product presentations, concerts, due to its great acoustics, exhibitions and even cocktail parties. The old winery cooperage, located in a building next to the centennial construction, today houses the 1890 Hall. 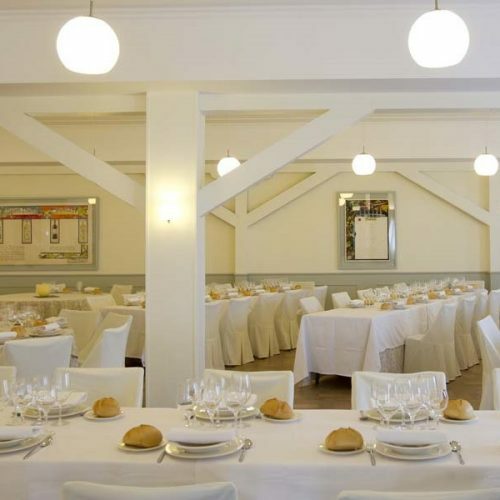 This contemporary area, renovated in 2015 to mark the 125th anniversary of the founding of Bodegas Franco Españolas, is one of our more luminous and cosy dining rooms; perfect for holding lunches and dinners of less than 150 people. Alternatively, the furniture can moved around to provide an area for other types of meetings that require more versatile assemblies. 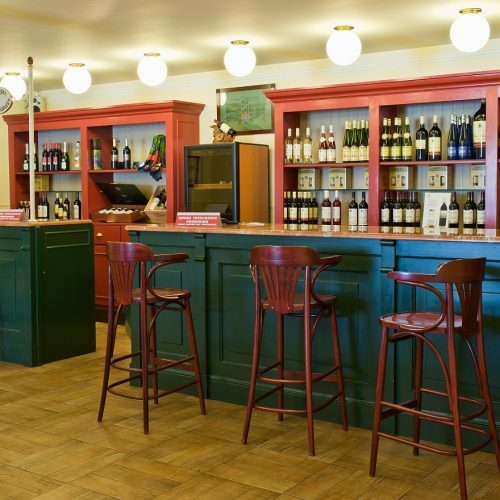 Until recently, this area located on the ground floor of the 1890 building was our wine bar. Today, we use this room to hold cocktail parties and wine tastings. 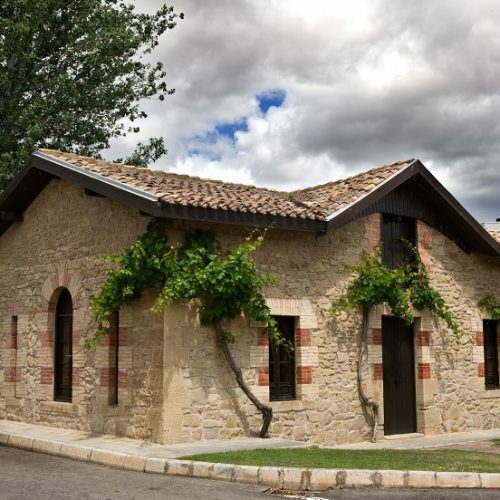 Bodegas Franco Españolas can boast of being the only establishment in the centre of Logroño that has a private garden at the back of its main building. This is where we hold some of our most popular events, such as the Summer Cinema Club or Family Harvest, and is available to our customers for holding cocktail parties and concerts, etc.